born March 24, 1834, Walthamstow, near London, Eng. English designer, craftsman, poet, and early socialist, whose designs for furniture, fabrics, stained glass, wallpaper, and other decorative arts generated the Arts and Crafts movement in England and revolutionized Victorian taste. Morris was born in an Essex village on the southern edge of Epping Forest, a member of a large and well-to-do family. From his preparatory school, he went at age 13 to Marlborough College. A schoolfellow described him at this time as “a thick-set, strong-looking boy, with a high colour and black curly hair, good-natured and kind, but with a fearful temper.” Morris later said that at Marlborough he learned “next to nothing…for indeed next to nothing was taught.” As in later life, he learned only what he wanted to learn. In 1853 Morris went to Exeter College at the University of Oxford, where he met Edward Jones (later the painter and designer Burne-Jones), who was to become his lifelong friend. Both Morris and Jones became deeply affected by the Oxford movement within the Church of England, and it was assumed that they would become clergymen. 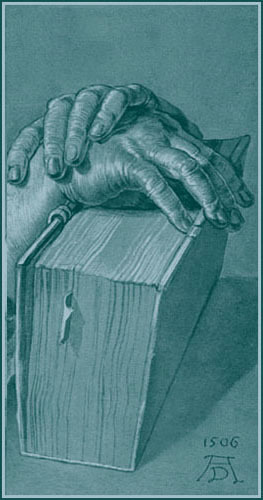 Nevertheless, it was the writings of art critic John Ruskin on the social and moral basis of architecture (particularly the chapter “On the Nature of Gothic” in The Stones of Venice) that came to Morris “with the force of a revelation.” After taking a degree in 1856, he entered the Oxford office of the Gothic Revivalist architect G.E. Street. In the same year he financed the first 12 monthly issues of The Oxford and Cambridge Magazine, where many of those poems appeared that, two years later, were reprinted in his remarkable first published work, The Defence of Guenevere and Other Poems. After his marriage, Morris commissioned his friend the architect Philip Webb, whom he had originally met in Street’s office, to build the Red House at Bexleyheath (so called because it was built of red brick when the fashion was for stucco villas). It was during the furnishing and decorating of this house by Morris and his friends that the idea came to them of founding an association of “fine art workmen,” which in April 1861 became the firm of Morris, Marshall, Faulkner & Company, with premises in Red Lion Square. The other members of the firm were Ford Madox Brown, Rossetti, Webb, and Burne-Jones. At the International Exhibition of 1862 at South Kensington they exhibited stained glass, furniture, and embroideries. This led to commissions to decorate the new churches then being built by G.F. Bodley, notably St. Martin’s-on-the-Hill at Scarborough. The apogee of the firm’s decorative work is the magnificent series of stained-glass windows designed during the next decade by Burne-Jones for Jesus College Chapel, Cambridge, the ceiling being painted by Morris and Webb. The designs for these windows came to Morris uncoloured, and it was he who chose the colours and put in the lead lines. He also designed many other windows himself, for both domestic and ecclesiastical use. Two daughters, Jenny and May, were born in 1861 and 1862, and altogether the five years spent at Red House were the happiest of Morris’s life. After a serious attack of rheumatic fever, brought on by overwork, he moved in 1865 to Bloomsbury in London. The greater part of his new house was given over to the firm’s workshops—an arrangement that, combined with her husband’s boisterous manners and Rossetti’s infatuation with her, reduced Jane to a state of neurotic invalidism. Morris’s first wallpaper designs, “Trellis,” “Daisy,” and “Fruit,” or “Pomegranate,” belong to 1862–64; he did not arrive at his mature style until 10 years later, with the “Jasmine” and “Marigold” papers. As a poet, Morris first achieved fame and success with the romantic narrative The Life and Death of Jason (1867), which was soon followed by The Earthly Paradise (1868–70), a series of narrative poems based on classical and medieval sources. The best parts of The Earthly Paradise are the introductory poems on the months, in which Morris reveals his personal unhappiness. A sterner spirit informs his principal poetic achievement, the epic Story of Sigurd the Volsung and the Fall of the Niblungs (1876), written after a prolonged study of the sagas (medieval prose narratives) read by Morris in the original Old Norse. The exquisitely illuminated A Book of Verse, telling once more of hopeless love and dedicated to Georgina Burne-Jones, belongs to 1870. In 1871 Morris and Rossetti took a joint lease on the Elizabethan manor house of Kelmscott in Oxfordshire. In the same year Morris paid his first visit to Iceland, and the journal he kept of his travels contains some of his most vigorous descriptive writing. He returned to Iceland in 1873. The shared tenancy of Kelmscott, however, was never a success, and, after the final breakdown of his health in 1874, Rossetti left the house for good, to Morris’s great relief. The following year the firm was reorganized under his sole proprietorship as Morris & Company. In 1875 Morris also began his revolutionary experiments with vegetable dyes, which, after the removal in 1881 of the firm to larger premises at Merton Abbey in Surrey, resulted in its finest printed and woven fabrics, carpets, and tapestries. In 1877 Morris gave his first public lecture, The Decorative Arts (later called The Lesser Arts), and his first collection of lectures, Hopes and Fears for Art, appeared in 1882. In 1877 he also founded the Society for the Protection of Ancient Buildings in an attempt to combat the drastic methods of restoration then being carried out on the cathedrals and parish churches of Great Britain. The Morris family moved into Kelmscott House (named after their country house in Oxfordshire), at Hammersmith, in 1879. Five years later Morris joined Henry Mayers Hyndman’s Democratic (later Social Democratic) Federation and began his tireless tours of industrial areas to spread the gospel of socialism. He was considerately treated by the authorities, even when leading a banned demonstration to London’s Trafalgar Square on “Bloody Sunday” (November 13, 1887), when the police, supported by troops, cleared the square of demonstrators. On this occasion he marched with the playwright George Bernard Shaw at his side. But by this time Morris had quarreled with the autocratic Hyndman Federation and formed the Socialist League, with its own publication, The Commonweal, in which his two finest romances, A Dream of John Ball (1886–87) and News from Nowhere (1890), an idyllic vision of a socialist rural utopia, appeared. Subsequently, he founded the Hammersmith Socialist Society, which held weekly lectures in the coach house next door to Kelmscott House, as well as open-air meetings in different parts of London. A sea voyage to Norway in the summer of 1896 failed to revive Morris’s flagging energies, and he died that autumn after returning home, worn out by the multiplicity of his activities. He was buried in the Kelmscott churchyard beneath a simple gravestone designed by Webb. Morris is now regarded as a modern and visionary thinker, though he turned away from what he called “the dull squalor of civilization” to romance, myth, and epic. Following Ruskin, Morris defined beauty in art as the result of man’s pleasure in his work and asked, “Unless people care about carrying on their business without making the world hideous, how can they care about Art?” To Morris, art included the whole man-made environment. 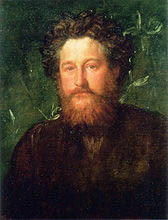 In his own time William Morris was most widely known as the author of The Earthly Paradise and for his designs for wallpapers, textiles, and carpets. Since the mid-20th century Morris has been celebrated as a designer and craftsman. Future generations may esteem him more as a social and moral critic, a pioneer of the society of equality.